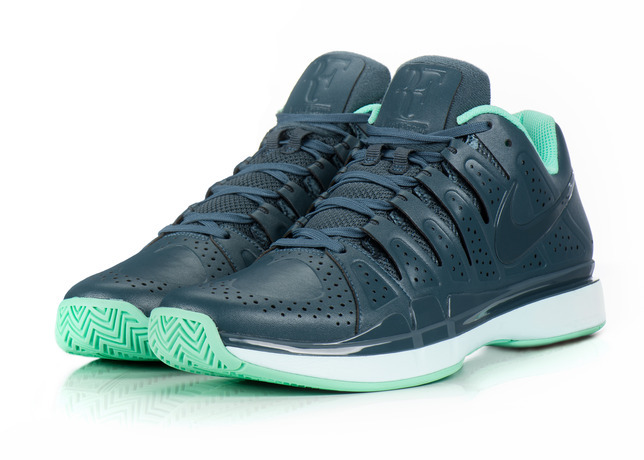 Fresh off the moment Roger Federer qualified for his 12th consecutive World Tour Finals, Nike has released the third limited edition model of his popular Nike Zoom Vapor 9 Tour shoes. After showing a teaser image of an RF bag, full details of the new, “Savile Row” LE model are ready for a November 4 launch date. 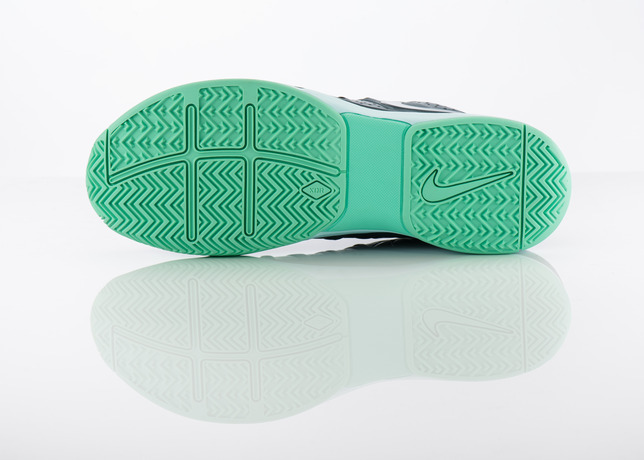 The shoe will be available in limited quantity from Nike select retailers. Now Available: Nike.com (US), Nike.com (UK), Tennis Warehouse, Tennis Warehouse Europe, Midwest Sports. 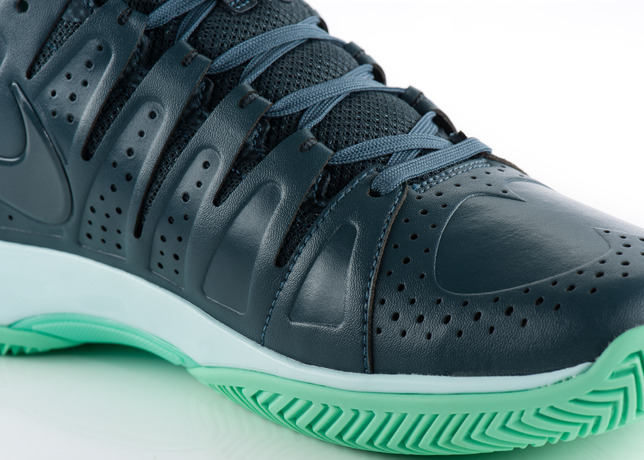 Inspired by Roger Federer’s signature style both on and off the court, the new “Savile Row” Zoom Vapor 9 Tour LE combines innovative materials with time-honored craftsmanship. The Zoom Vapor 9 Tour has been Roger’s shoe of choice for over a year and this limited edition version is an homage to the exquisite craftsmanship of Savile Row. 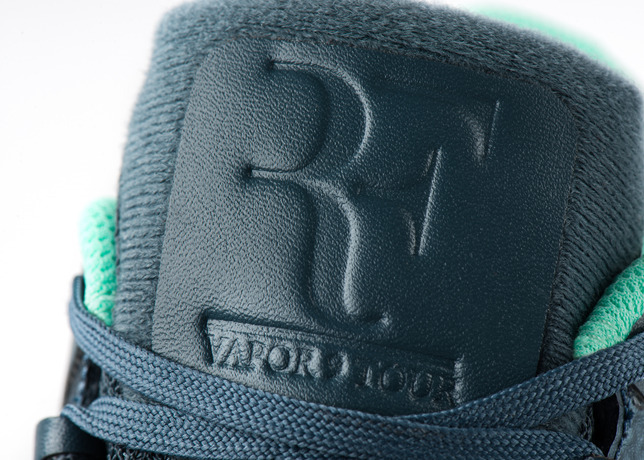 The shoe was specially created for Roger to wear during the year end finals in London. The “Savile Row” Zoom Vapor 9 Tour LE resembles a classic English brogue with a detailed pattern of perforations on the upper and a hierarchy of color that conveys the subtle elegance that is one of the hallmarks of Savile Row tradition. 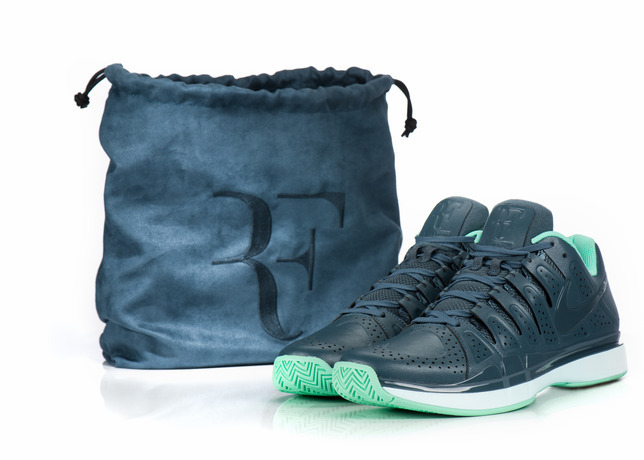 The shoe also comes with a high quality RF branded shoe bag. Additional custom elements of the “Savile Row” shoe are a special RF logo on the tongue and uniquely patterned synthetic upper that have both been shaped using high pressure and heat to retain definition. The “Savile Row” Zoom Vapor 9 Tour LE uses flat laces instead of the usual oval ones and all the external durability elements that are typically seen on a Nike high performance tennis shoe have been replaced by brouging more often seen on a gentleman’s dress shoe. 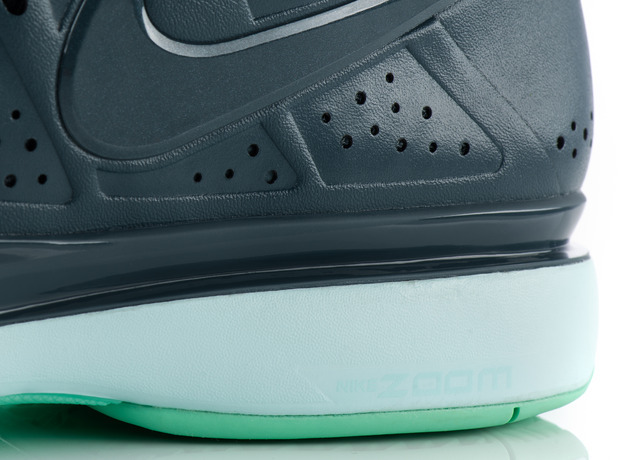 The “Savile Row” Zoom Vapor 9 Tour LE will be available in limited quantity from Nike select retailers worldwide beginning Nov. 4, 2013. 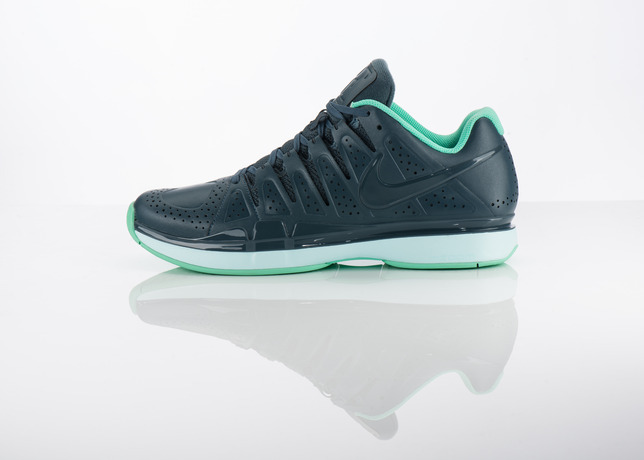 For more information please visit nike.com/tennis.